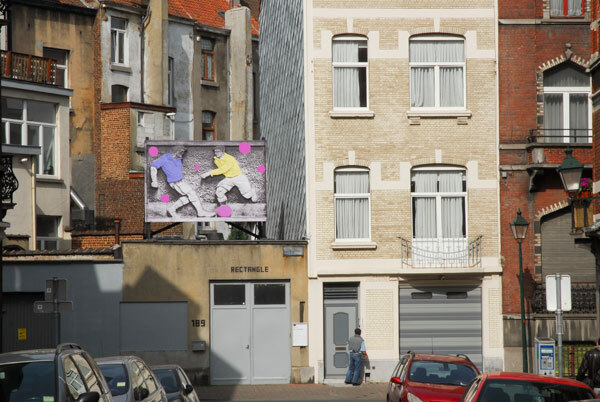 The image chosen for the billboard is one of a series of seven, composing Filip Van Dingenen’s proposal for Rectangle: an analytical exploration of the bas-reliefs integrated in the facade of the stadium of Royal Union Saint-Gilles (Josef Marien Stadium) by the Belgium sculptor Oscar de Clerck (1892 – 1968). 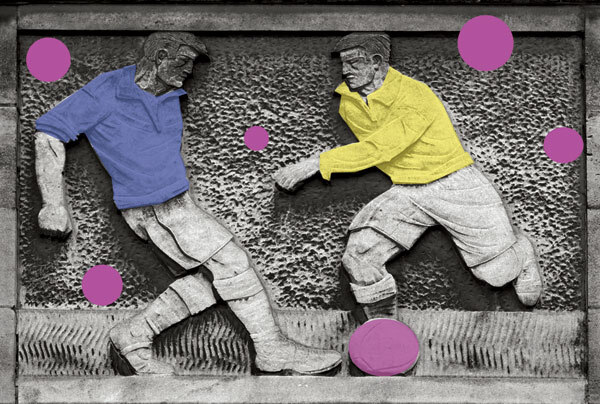 The project investigates the history of the depiction of football clubs, from the teams’ black & white photography to full colour digital photography. Using or copying a methodology / strategy similar to a choreographers rehearsals in the dance studio, this exploration focuses on position, composition and speculating on the movement of the sportsmen. What is the meaning of the title: MAS PRESENTE! It’s Spanish right? Why? Yes it is, for me it is the language of drama. It is the scream of a coach. Thinking of will, perseverance and discipline. But at the same time I see an image of the impotence of a coach standing in the rain along the pitch while his team fails. You live very close to the stadium of St Gilles, and to Rectangle too. There is with the choice of this subject something of a ‘local’ investigation, but drifts to more general and historical concerns. This drift seems to feature in your work in general. Le Cercle d’histoire or the Heemkundige Kring has often a musty reputation. It is an organisation you can find everywhere in the world, mostly managed by amateurs passionated by local history. Wherever I go to develop a project (the Burren -Ireland, Banff – Rocky Mountains, Argentinian pampas or a green area in Genk) it seems I always ended up talking or collaborating with this organisations like this. There is an interesting shift dealing with local knowledge. Sport is one of your fields of interest. 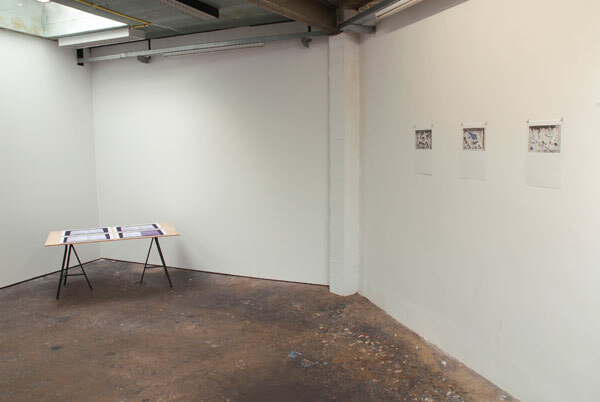 For example, with Wiels Memory Game (2009), you created a memory game gathering the members of the Wiel’s cycle team in the 50’s and the artists that have later exposed at Wiels Art Center. What interests you so much about sport? Sport is one of the main fields of interest of society, I’m just an observer of society. But I think sport and art work well together! In this project, you created seven images referring each to one of the seven Oscar De Clerck’s bas-reliefs of the façade of the stadium. 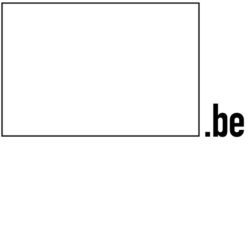 Why did you choose this one in particular to be printed and (dis)placed on the Rectangle’s billboard? What does this displacement mean to you? It is a preliminary study of an analytical exploration of the bas-reliefs of the art deco façade of the stadium of USG. The building is a protected monument by Monuments & Sites. The tragedy is that all references and studies disappeared. Probably the ex-wife of the sculptor Oscar the Clerck threw away all the preparatory material. So we can only guess if the sculptor based his work on images of team players of USG or on pictures from the sportsmen or if he had models in his studio. Who were the models? There are a lot of hybrid influences, from greek stylistic athletics / Belgian expressionistic modernism, and influences concerning artistic encounters in his youth in Ostend. The dots of acid colors you placed upon the b & w photograph were roughly made using photoshop. They seem a little awkward. You said it was on purpose. What is the significance of those colored ‘marks’? Where do they come from? It is a technique / methodology used in a dancers studio to mark specific points to remember and rehearse a choreography and at the same time it is based on Mary Schäffer Warren’s hand painted photographs of fauna and flora. 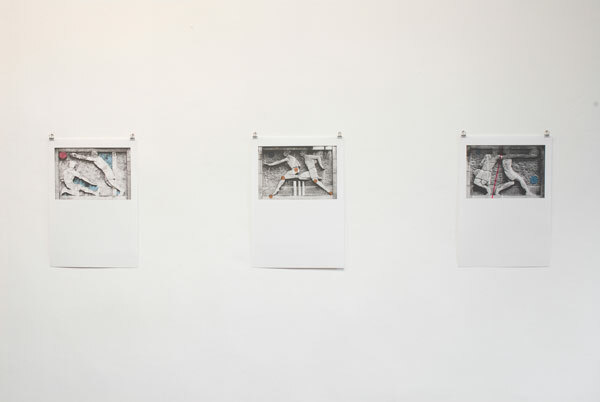 The six other images printed in A3 are visible in the exhibition room at Rectangle. They are inkjet prints on paper upon which you printed colours with riso technology. 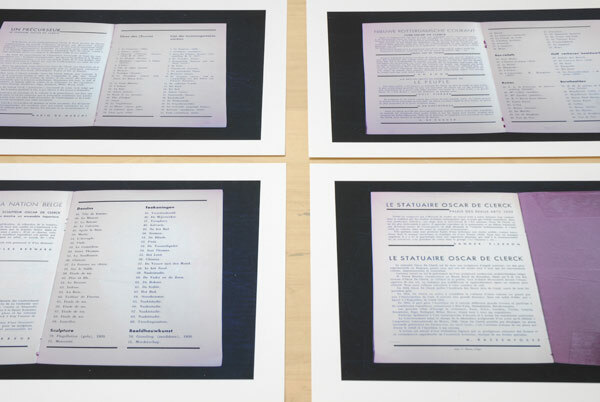 Here there is a confrontation of image practices and printing technologies. Can you talk about that? My idea was to silkscreen the banner, which could give the billboard another dimension with the printed image. Also it could be interested to have a unique silkscreened piece on the billboard. But Rectangle’s restrictions meant no silkscreen could be put on the banner. As an artist you always have to deal with restrictions. Inside, the prints are preliminary sketches based on a digital collage technique. I added diagrams and strategies on it, (i.e. from bone joints, speculating on the directions the football could turn, the focus in the mental space of a football player, etc…). In your work, you draw lines, trace various ways of reading and understanding; I think you try to connect different places, different times, and different fields, cultures or levels of culture. Am I right? There is indeed a multiple level of time and space. But that’s how I see the world, how it is.